First of all, a big shout-out to everyone who entered last month's Endless Summer prize package giveaway! We appreciate every single entry and are pleased to announce the winner: TRESSIA A.
Congrats, Tressia, and we hope you enjoy your prize! If you weren't a winner, don't worry, there's another chance to win right here in this post! It seems as if everyone's thoughts are turning toward autumn. And although we're eager for the release of SWEET MOUNTAIN RANCHER and HARPER'S WISH next month, we're not quite ready to say goodbye to summer just yet. So we're giving away another prize package: the Beach Reads giveaway prize (including a new Kindle! ), valued at $200! 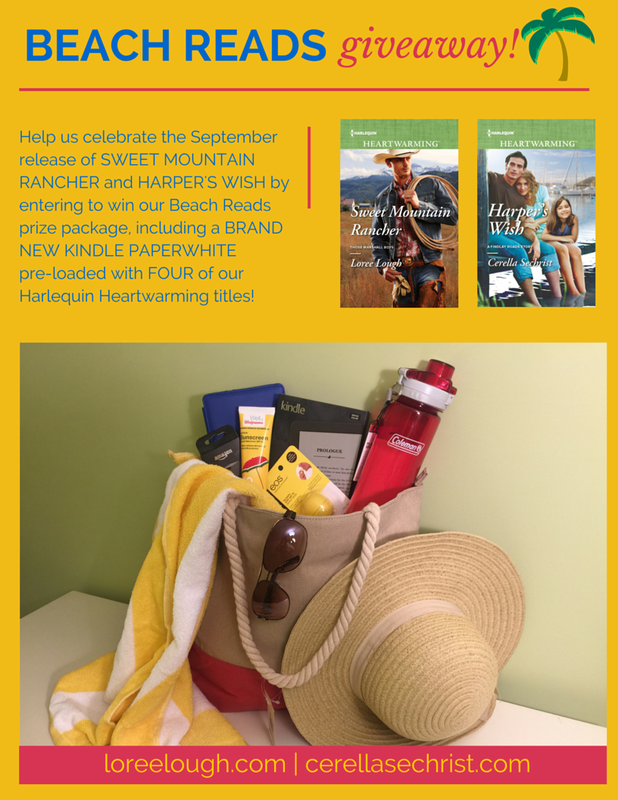 This prize includes everything you need for one last summer weekend at the beach...including a brand new Kindle with blue cover, loaded with four of our Harlequin Heartwarming titles! In addition to the Kindle and ebooks, you'll receive a yellow striped beach towel, coral and khaki canvas beach tote with rope handle, a red Coleman water bottle, SPF50 sunblock, EOS lip balm in lemon drop flavor wtih SPF15, a pair of Dickie's aviator sunglasses, and a straw hat to help block those summer rays. It's the perfect prize for some end-of-summer beach reading! You can enter below but first, we'd like to give you the chance to take our Which Heartwarming Heroine Are You? quiz to determine if you're more like Eden Quinn, from Loree's SWEET MOUNTAIN RANCHER or if your personality resembles Harper Worth from Cerella's HARPER'S WISH. Be sure to leave us a comment on this post and tell us which heroine you're most like! Take the quiz below and then keep scrolling down to enter our Beach Reads giveaway. The contest runs until 11:50 pm EST on September 7, 2015, and we'll be announcing the winner on September 11, right here on the Harlequin Heartwarming blog. Be sure to check back then for yet another giveaway and to meet the cast of our new releases! CERELLA SECHRIST lives in York, Pennsylvania with two precocious pugs, Darcy and Charlotte, named after Jane Austen literary characters. 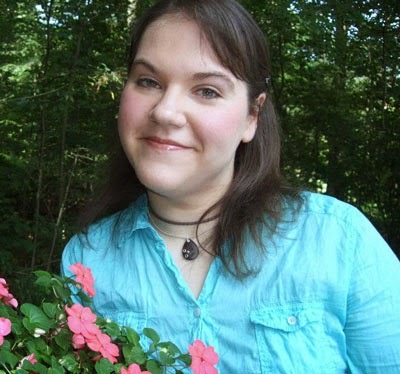 Inspired by her childhood love of stories, she was ten years old when she decided she wanted to become an author. These days, Cerella divides her time between working in the office of her family’s construction business and as a barista to support her reading habit and coffee addiction. She’s been known to post too many pug photos on both Instagram and Pinterest. You can see for yourself by finding her online at www.cerellasechrist.com. Harper’s Wish, her third Harlequin Heartwarming novel, releases in September. Congrats on your upcoming anniversary, Laurie! You'll have to make your husband treat you to TWO dates, just like the ones in the quiz/books! ;) I hope you have an amazing time, dear friend, and good luck with the giveaway! Hey, this was a trick! I try never to support one author's book over the other, but your quiz sucked me in! How much fun is this???? We know how you feel, Victoria...and try never to say we prefer one editor over another. You guys make that easy, because you're ALL fantastic! Hope you're enjoying the summer! Fun quiz! I was most like Harper Worth. I look forward to reading both books. Congratulations to Tressia! Yes, yes, yes...congrats to Tressia! Here's hoping you'll win this super prize, Jill! I am Harper my favorite cowboy is George Strait! :) too old for your hero but just right for me and a long moon lit walk on that beach! LOL! It's okay, @wuzzie2516, George Strait is still a great choice! ;) Here's to enjoying moonlit walks with handsome cowboys! Good luck on the giveaway! Great contest and looks as if you two went to a lot of work on this give-away. So clever. We aim to please, Roz! Here's hoping you're enjoying the summer! Thanks, Rox! I love collaborating with Loree - when we put our heads together, dangerous...ahem...I mean...fun things happen! I'm Harper Worth, which, reading the book descriptions, sounds about right. Great idea for a contest, ladies--thanks so much for offering it! We're tickled pink that you like the idea, Linda! Our only regret is that you can't ALL win the prize! Linda, I hope you enjoy Harper's story since it sounds like you two have similar personalities! Best of luck with the giveaway! Have a great weekend! I'm Harper, too. You two are so clever - must be why you write books! That was fun. Wonderful idea, and a wonderful prize for someone. My congrats to Tressia. Thanks, Muriel! We're always on the lookout for innovative ideas (and prizes!) that will entertain our readers...and visitors to this wonderful blog! Hope your summer has been great so far! A sucker for the cowboys, huh, Darlene? ;) Nothing wrong with that! Good luck with the giveaway! Harper ;) great prizes, great books! Wishing you luck, Deanna, and here's hoping the rest of your summer will be fantastic! I'm like Harper North. Thanks for such a generous giveaway chance. Hope you'll enjoy both novels as much as the giveaway, Carol! Good luck, and here's hoping the remainder of your summer is wonderful! You're welcome, Carol! We love being able to do these giveaways - we have yet another great one coming next month...but here's wishing you luck with this month's! Thanks for taking the quiz! I'm more like Harper (I'm even in Maryland)! Both books sound good to me! Where in Maryland are you, Meg! I live in a Baltimore suburb... Here's hoping your summer has been great! That's fantastic, Meg! Loree is in Baltimore, and I'm just over the Maryland line in southern York county... So glad you stopped by to enter! I got Harper Worth... Both of these books sounds like they have great characters and the books sounds great. Hi, Kathleen! We're so happy you stopped by and entered the contest! Our only regret is that everyone who enters can't win! Looking forward to hearing what you think of our September releases! Thanks, Kathleen! I think both our heroines are some pretty fun girls. I'd love to get to hang out with both of them for an afternoon! Thanks for stopping by and taking the quiz - good luck with the giveaway! I love this! I'm Harper. :-) Loving that Irish brogue. Got to figure out how to do this quizz! Hope your summer has been fantastic so far, Patricia, and that it'll stay that way until first frost...and beyond! Good luck with the quiz! I'm in both worlds (mentally), too, Pamela! Hope you're enjoying your summer! I got Eden Quinn! Got to love those cowboys and a good steak! Hahaha! Harper Worth. Ha ha ha. Food critic? Well, I sure do like good food. Would love to win this wonderfully generous gift package. LOL Robin! Good luck with this one. We only wish everyone could win! Ditto that, Robin! IDK if I could be a food critic - I'm not too critical of food. lol ;) Good luck with the giveaway! I'm like Eden, but some of those questions were hard. Both are so appealing, and the stories sound great. I know exactly how you feel, Beth! Wishing you luck in the contest, and here's hoping the rest of your summer is fantastic! It is a kind of hard quiz, isn't it, Beth? Good thing you're not being graded on the answer! ;) Hopefully this means you'll enjoy both of the books equally! Best of luck with the giveaway! I got Harper, although I chose a variety of answers. :) Both of these stories sound good! Good luck in the contest, Cathy, and here's hoping the rest of your summer is delightful! There are no wrong answers on this quiz, Cathy! We hope you enjoy the stories! Have a great weekend and good luck with the giveaway! These books are so much fun to read and write, Lori - the settings, the characters, the Heartwarming aspect. They're great! And I'm with you - I'm a bit of both Harper and Eden. :) Make sure you check back next month - we'll be giving away copies of these new releases then! I have to agree give me steak, potatoes, a cowboy on a horse up in he mountain and I am a happy girl. I don't think you can go wrong with that plan, @PageByPage! ;) Here's hoping you have a Sweet Mountain Rancher of your own! Cerella is right, Page...we hope you have a Sweet Mountain Rancher to make your Harper's Wish come true! Since I have me a cowboy, I am glad that the contest revealed I am Eden. Thanks for the contest opportunity. The prizes look wonderful. Then it sounds like you're definitely more like Eden, Rose! And you lucky lady, with a cowboy of your own. You're going to make all the girls who got Eden jealous! :) Good luck with the giveaway! I am Harper Worth - I love a good Irish brogue! ;) I am going to order your book, Cerella, today along with yours, Loree because the cowboy on the cover is just too smokin' hot! They both sound like the perfect beach reads! I am so loving the Heartwarming line! :) Keep them coming! And thanks for the contest opportunity, Loree and Cerella! Thanks, Krissie! We really appreciate that! And I'm with you - I'm a total sucker for that Irish accent. It's rough being an author sometimes...you fall in love with your own heroes! ;) Thanks for being a reader of the Heartwarming line - they're the best stories, aren't they? Have a great weekend! We appreciate your support, Krissie! And I'm with you on the brogue. Every time I've been to Ireland, I fall a little for one of those handsome Irish lads. I have to admit, though, that I'm just as happy to come home where the cowboys drawl things like "Love ya, darlin'!" Wishing you a very happy rest of summer! Ok first on the crab cake vs. steak question....dirty pool. I'm switching that up and having the crab cake with green beans and garlic mashed potatoes (don't do rice pilaf) and adding the salad (mixed greens and raspberry vinaigrette) too. Sounds like a great plan, Tina! Why not have the best of both worlds? You can mix it up however you like, and Connor, our Irish chef, can prepare it for you! Good luck with the giveaway - we're so glad you stopped by! As a Baltimore gal, I find it hard to pass up a good crab cake...unless I catch the aroma of steak in the air, being grilled by a handsome cowboy! Hope your summer has been wonderful so far! Ditto that, Tatiana! I'm definitely okay with Irish chefs who cook hearty, delicious food! What's not to love? :) Good luck with the giveaway! Count me in, you guys...meat and potatoes (with gravy!) and some buttery steamed veggies and I'm a happy gal! Here's hoping the rest of your summer is fantastic! I got Harper Worth. Thanks for the fun quiz! Glad you enjoyed the quiz, Ginny, and here's hoping you entered the contest, too! We're glad you liked it, Ginny! I've taken it more than once! ;) Good luck with the giveaway! I'm right there beside you, trosado! I love mountain air, but I also love the sound of waves, lapping the beach as I fall asleep. Hope your summer has been great so far! I'm like Harper Worth. Love the beach - it just speaks summer. My favorite time to head for the beach is February, when there's ice on the sand and the wind bites your cheeks and nose. No kids running hither and yon to kick sand on the blanket, either. But even if they tried, no biggie...'cause the blanket is wrapped around my shoulders! LOL Wishing you luck with the contest! Loree, you're making me shiver! I'm not ready to let go of summer just yet, Lynn, even though autumn is my favorite season. This giveaway lets us enjoy it a little while longer! Thanks for taking the quiz! We're looking forward to seeing who wins, too, Amy! We only wish every entrant could take home that overflowing basket! Here's hoping you're enjoying your summer! Thanks, Amy! So glad you enjoyed it! Have a great weekend! Thank YOU, Wendy, for stopping by! Wishing you luck in the contest, and hope your summer has been terrific so far! Thanks for visiting, Wendy! Good luck with the giveaway! So happy you stopped by, Jill! Wishing you luck in the contest, and wishing you a great rest of the summer, too! Thanks for taking the quiz, BJ! Hope you're having a fantastic weekend! As Cerella said, we're so happy you could pop in and take the quiz, BJ! Here's hoping the weekend was great and the week ahead will be greater! Ah-ha! So you're a gal who likes cowboys, horses, ranches, and pristine mountain views too, eh, BJ!? Hope there's plenty of soft cowboy drawlin' in your life! I like the way you think, LeAnne! LOL! Thanks for taking the quiz and good luck with the giveaway! A girl after my own heart, LeAnne! Why deprive yourself of something delectable if you don't have to, right! LOL Just between you and me? I think you're gonna love BOTH stories! Thanks for stopping by, and here's hoping the upcoming week will be wonderful! I'm more like Harper Worth. What fun. So glad you enjoyed it, Mary! Good luck with the giveaway! It always makes us smile when people say our blog posts are fun, Mary! We're happy you stopped by, and wish you luck with the giveaway! Hope the week ahead will be wonderful! I am more like Eden Quinn except for the fact that I have yet to read the book to see if that really is the case. This is an awesome giveaway. I could not find it anywhere in the post if it was opened internationally or not but I am participating in the hopes that it is and I would love to win it. Keeping my fingers crossed here in Pakistan. Hi Hina! You'll just have to check out Sweet Mountain Rancher next month to see if you really are like Eden! :) The Terms & Conditions do specify the contest is for US residents only. :( I'm so sorry, we wish we could ship internationally! But we really appreciate that you stopped by and entered. At least the Heartwarming books are available as ebooks so we get to connect with our international readers through them that way. Have a great weekend! As Cerella pointed out, Hina, the ebooks can go anywhere, so if you win, we'll make sure your copy is delivered through cyberspace! We wish we could afford to send prizes to everyone who stops by, no matter where they live. But since we can't, we'll send you heartfelt thanks for paying us a visit, and wish you luck with the ebook portion of the prize! Have a beautiful week, m'dear! So happy you paid us a visit, CdA! (I love Idaho, by the way...it's one of my favorite of the beautiful western states!) Good luck with the giveaway, and here's hoping your week ahead will be wonderful! So am I, @CdA! I guess you see more cowboys out in Idaho than I do here in Baltimore...you lucky duck! :-) Thanks for stopping by, and we wish you good luck in the giveaway and a great rest of the summer! Apparently I'm most like Eden Quinn because I love mountains and cowboys!!!!! We have something in common, then, Jennifer, because I'm crazy for mountain vistas and anything related to cowboys! Here's hoping your week ahead will be wonderful, and we're wishing you luck in the giveaway! There's a lot to like about dark-haired, green-eyed guys with Irish brogues, isn't there, Marinda! (What a lovely name, by the way!) Thanks so much for stopping by, and we wish you good luck on the giveaway. Have a terrific week! Your DH sounds a bit like Connor, Marinda! :) I'm hoping he has an Irish accent to go with that dark hair and green eyes! ;) Thanks for entering the giveaway and good luck! Shows I am more like Eden. This is a wonderful give-away. Thanks for the opportunity to enter. We Edens love our cowboys, don't we @regencygirl01! Thanks for stopping by. Wishing you luck in the giveaway and a wonderful week ahead! Thanks for taking the quiz, @regencygirl01! Good luck with the giveaway! I love quizzes! I'm Harper Worth! 😋 So much fun! Wishing you a wonderful rest of the summer! How fun! I got Harper Worth. Great, Amy! :) So glad you enjoyed the quiz! Good luck with the giveaway! Thanks so much for stopping by, Amy! We're happy that you enjoyed the quiz, and wish you luck with the giveaway! Hope your week is off to a great start, and that your summer has been super so far! I'm a huge Loree Lough fan already. Now, I need to check out Cerella Sechrist's books. We're tickled pink that you stopped by, @poetryinleaves! Good luck with the giveaway and we hope you had fun with the quiz! Honestly, I could've chosen both answers to each question! But officially, I'm a Harper. Thanks for the giveaway! Congrats on the releases! lol, I kind of feel the same way about that quiz, Christy - I could have taken either answer! :) Thanks for the congrats and good luck with the giveaway! I got Eden Quinn, even though I prefer the beach. ;) Loved the first book of the Marshall Boys. Hi Donna! Well, you'll just have to find yourself a cowboy that likes the beach, too - problem solved! ;) Thanks for taking the quiz and good luck with the giveaway! What a fun giveaway!! Thanks so much! 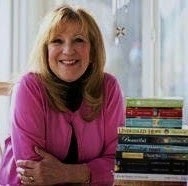 I have read a couple of Loree's books and have thoroughly enjoyed them. Looking forward to reading more of her novels. Just an fyi (maybe it is just me), but the Twitter button for Loree Lough is not working. I am following her already though. Eden, but all the answers were tempting. I'm torn. It's a tough (but fun!) quiz, isn't it, Beth? I could go for both sets of questions! Good luck with the giveaway! I got Edin Quinn though many of the answers were a toss up as I'm partial to both, like the music and food questions. Thanks, Molly! Coming up with the music and food questions were my favorites since Connor (in Harper's Wish) is a chef and his sister, Rory, is a musician. There are no wrong answers in this quiz, so no need to worry! :) Thanks for taking it and good luck with the giveaway!